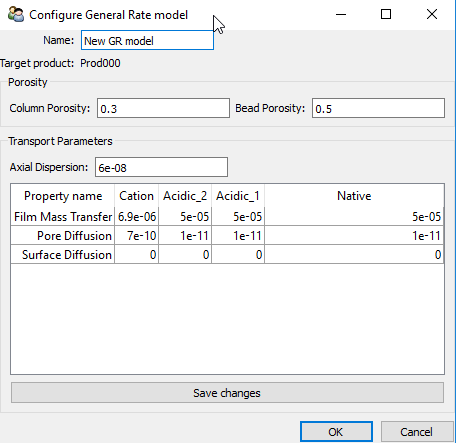 Once users have selected a product (and optionally some experimental data), they can begin simulating the chromatography process (and optionally calibrating models) to describe how product components transport through columns and bind to the resin beads. This is done by creating a simulation that is built assuming a specific transport model and a binding model. This simulation can be used to predict the chromatograms and performances of a given chromatography setup (method , system , ...), a process that is useful to find the optimal setup, or study its stability. This workflow is useful to implement a virtual “process optimization” and “process characterization”. 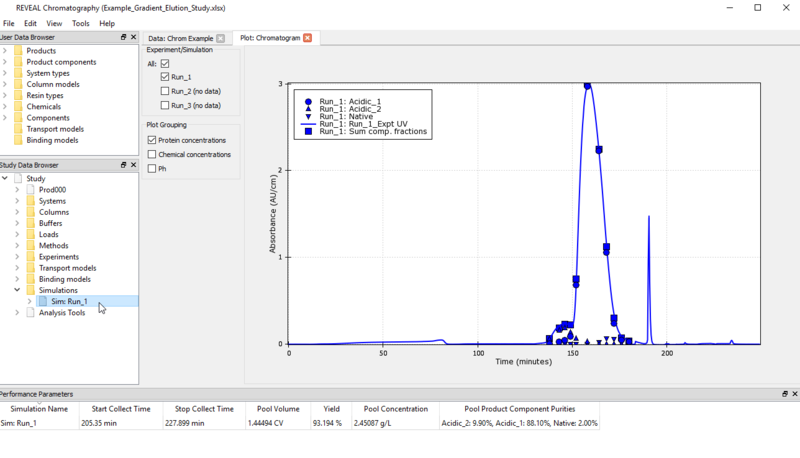 Alternatively, users can compare these simulation’s chromatograms to available experimental data to evaluate how accurate the specified transport and binding models are, a workflow also called “model calibration”. 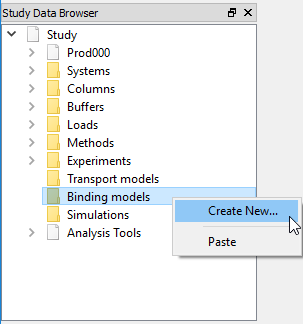 This document goes over Creating new binding and transport models, and then creating and running simulations, built either from an experiment or from Study Data elements. Instructions on selecting realistic values for these parameters is beyond the scope of the user manual. However, the interested user is referred to existing literature on the topic. Users can double-click on the newly made binding and transport models in the tree view to review their details in the central pane. 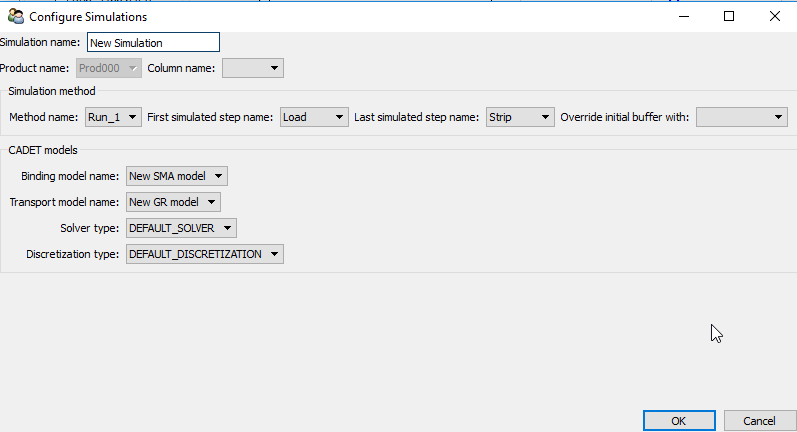 Next, users also need to specify the method steps with which they would like the simulation to begin and end. A constraint is currently in effect regarding this start method step. If a user is trying to have simulated chromatogram align with the source experiment, the start step should be the experimental step used during experimental file loading as the time of origin. For the stop step, any step can be selected as long as the pooling step is included in the simulation. These constraints will be relaxed in future versions of Reveal Chromatography. The next field to (optionally) provide is “Override initial buffer with”, which allows to specify the initial buffer. Most users will want to leave that blank. Then, Reveal Chromatography will use the buffer from the step immediately prior to the first simulated step. Users may wish to enter a different value if they wish to simulate the entirety of their experimental method. In this case, the initial buffer cannot be read off of the step prior to the first step, as there is none. That may require to manually create a new buffer prior to creating the simulation. Another possible situation where this parameter may need to be specified is if the buffer used in the step before the start of the simulation doesn’t accurately describe the state of the column at t=0. That may happen if for example the step before the first one to be simulated was very short, and its buffer’s properties (for e.g. its pH) hasn’t equilibrated in the column. 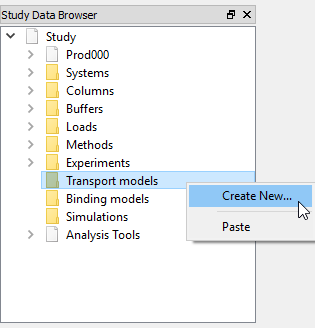 Finally, users should select their desired binding and transport models. The default values can be used for the remaining simulation components (Solver parameters and Discretization parameters). 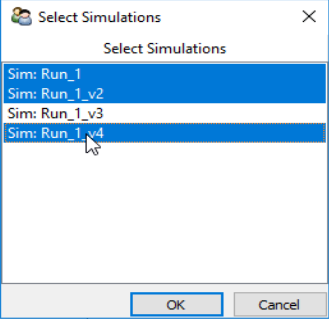 Once a simulation has been created, the user can find it in the study data and double-click on the simulation to view and review its parameters and components in the central pane. There, some parameters such as the simulation’s description or its CADET specific parameters (Solver and Discretization parameters, such as the spacial or temporal resolution of the solver, or the number of threads to use). 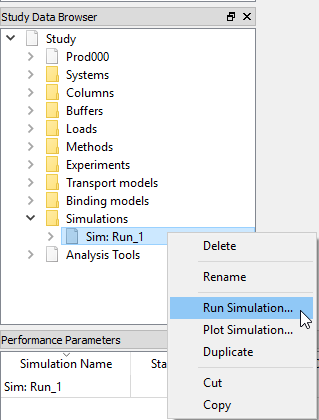 Also, users will see that the new simulation has been added to the performance parameters pane, though all performance metrics will remain blank until the simulation is run. 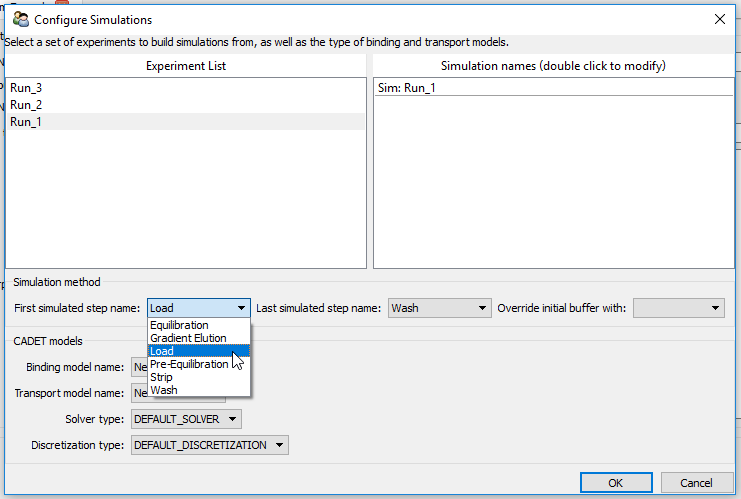 Users can create multiple simulations by selecting multiple source experiments from which to create the simulations, as long as they all share the same first and last step, and binding, and transport models. 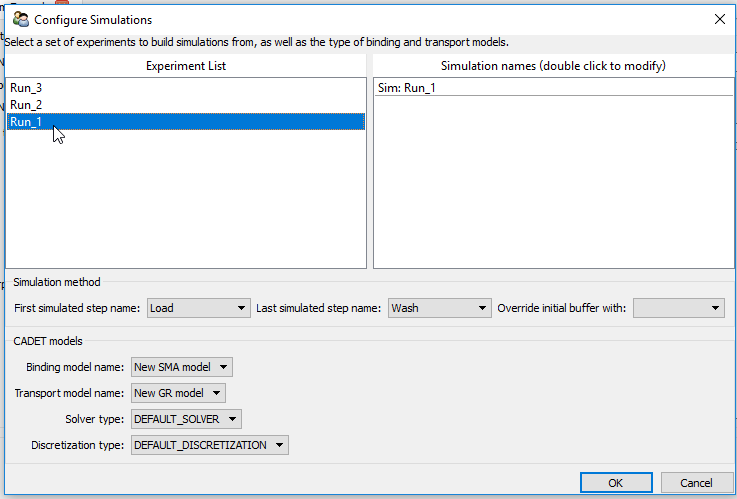 Users can also create a simulation without the use of an experiment. 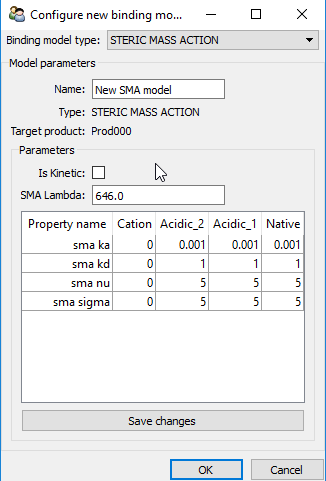 In this case, users will need to create or select all needed elements (column, system, buffers, loads, method, transport model and binding model) from the study data. See Contributing new data elements for details on how to contribute data elements to study and user data sources. the solver and discretization models. The simulation will take a few moments to run in the background, and once completed, will trigger an update of the performance parameters pane. Clicking OK will trigger all simulations to be submitted to the CADET solver. 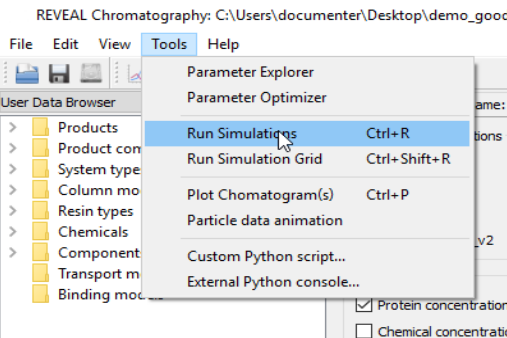 Since Reveal Chromatography can run simulations in parallel, it is faster to launch multiple simulation runs at once, as long as your machine possesses more than one processor.